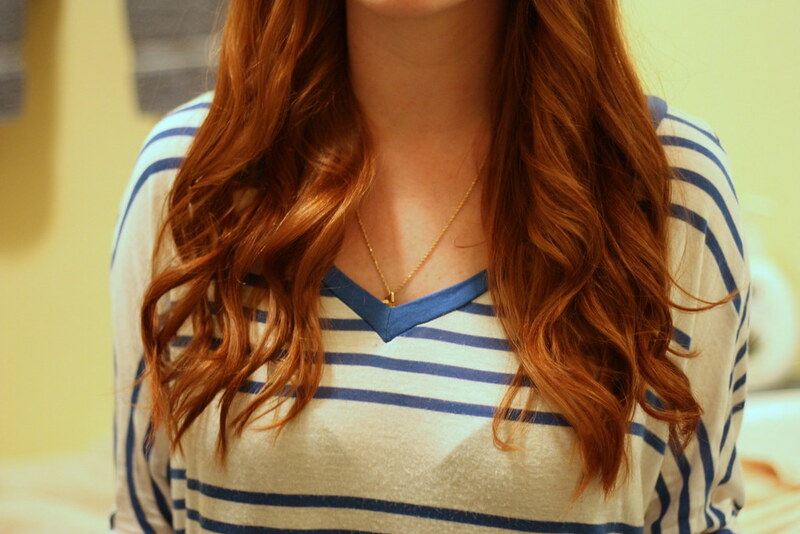 Even though summer is officially winding down, that doesn't mean you can't get loose, beachy waves any time of the year! And since this is my absolute favorite go-to glam hairstyle, I thought it was only appropriate that it should be my first tutorial as well! This whole process is actually relatively simple. And ever since the José Eber curling wand (c/o) came into my life, it's gotten even easier! 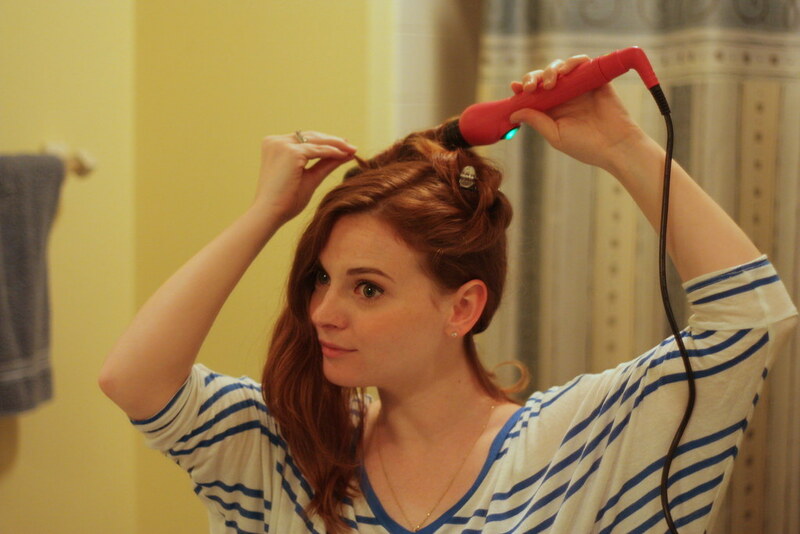 (Fun fact: prior to this, I had been using an old curling iron that my husband had taken the clip off of for me. 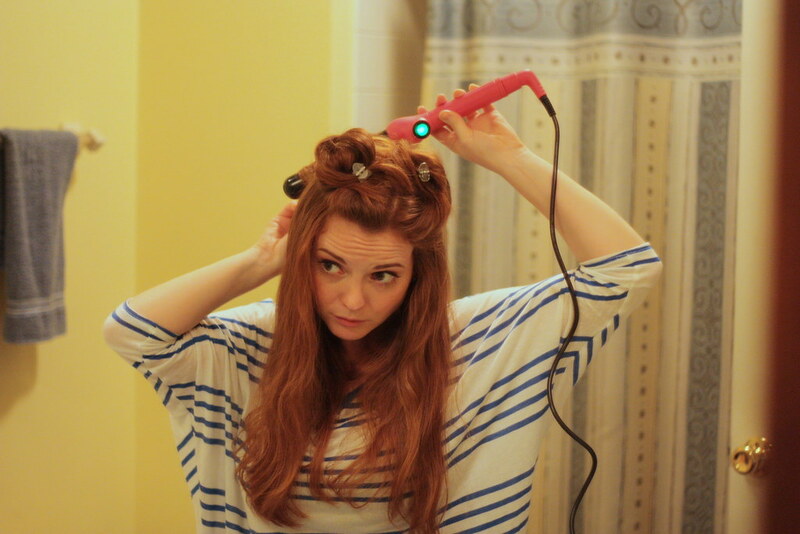 This wand is much longer and easier to use, however, so I highly recommend it!) I also want to note that I'm using the 32 mm wand, but you may want to invest in a smaller one depending on the length of your hair. I like looser waves so I wanted a bigger barrel! So let's get started, shall we!? 1. Work a wave creating styling product through clean, damp hair. I used Oribe's Apres Beach Wave and Shine Spray, which is one of my new favorites because it sprays on easily and smells amazing. It's a bit on the pricey side, though, so I often switch off between that and Herbal Essences Tousle Me Softly Mousse (be sure you get #2!). Either will work great and many others will as well -- it just depends on your hair type. Ultimately, opt for something that keeps your hair soft, and avoid anything that's super sticky or that will give your hair a wet look (like gel). 2. Dry your hair thoroughly. I like to use a hair dryer, but you can also let it air dry if you have the time (mine takes forever and I'm impatient haha). 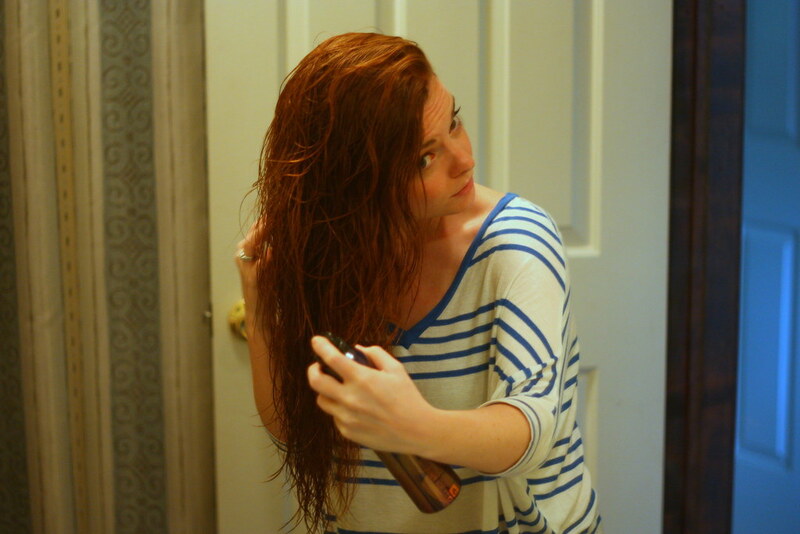 It's also makes your hair a bit softer rather than crunchy if you tousle it a bit while drying it. 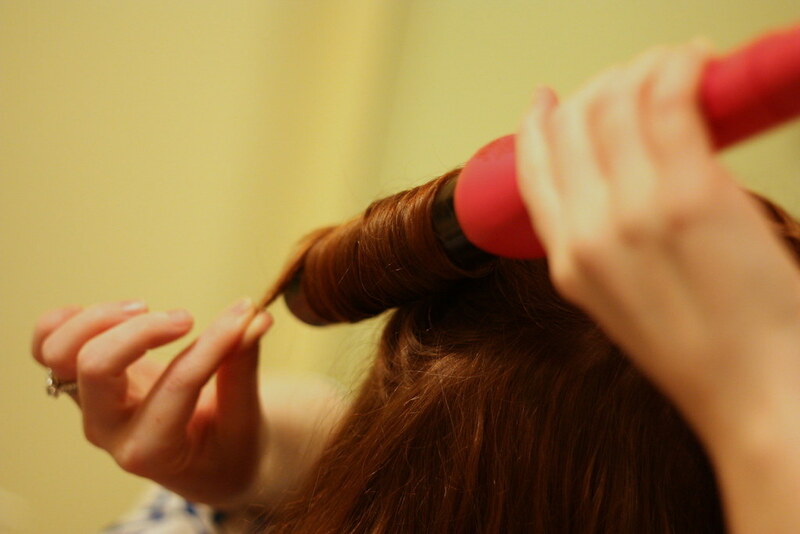 I tend to twist mine around my finger so that it doesn't get frizzy. 3. 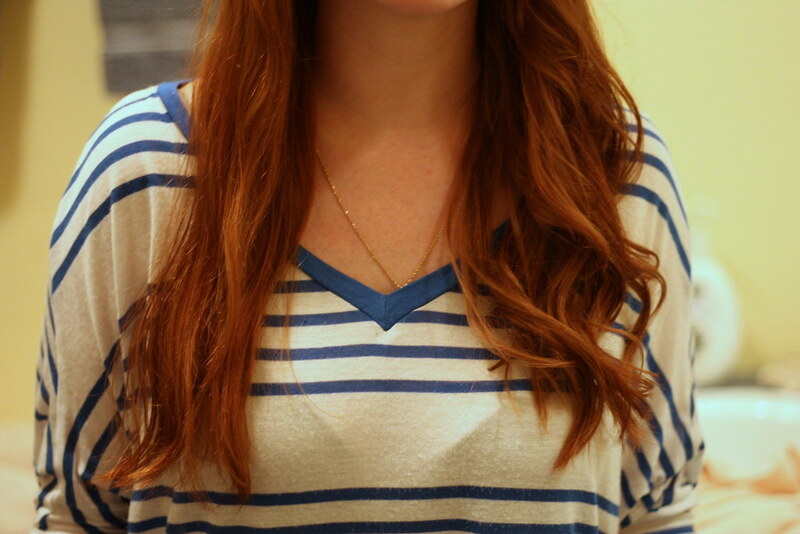 Lightly brush out your hair -- just enough so that it creates a soft, loose, almost retro wave. 4. Depending on your hair length and ability to get your arms in strange positions, this next part is totally up to you. Since I'm not super flexible, I like to split my hair in half, and then divide each side in a top and bottom section so that it's easy to get to. Pin up the top halves and pick a side to start on. 5. It's time to start curling! I find it easier to work my way from back to front, and make sure to wrap the hair away from your face. I'm so much better at doing my left side since I'm right handed, but do the best you can. 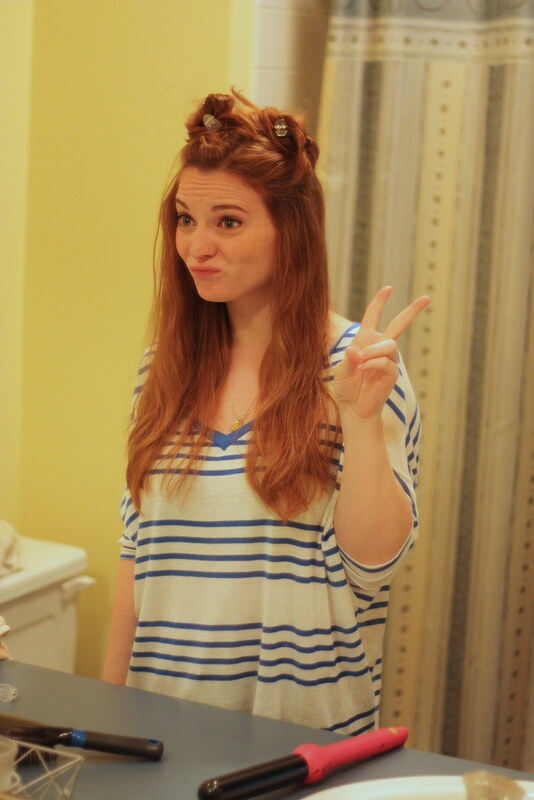 The point of this look is to be a little unkempt, so it doesn't have to be perfect. 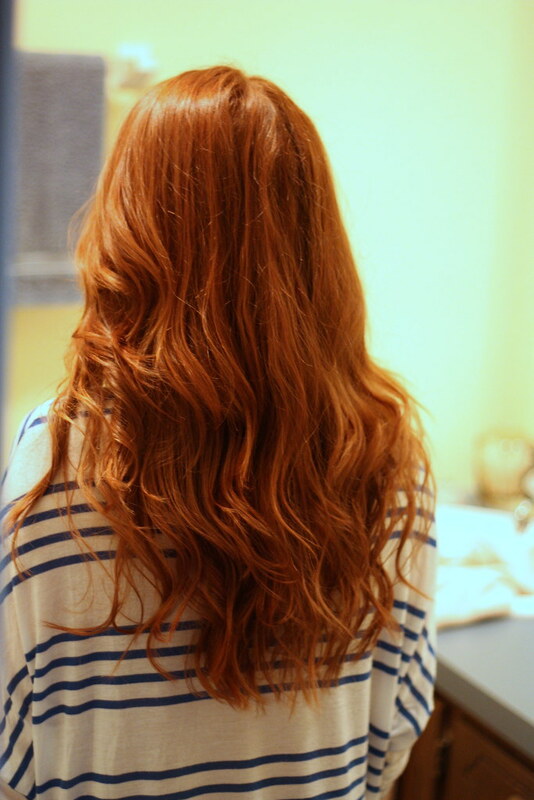 And don't worry about getting sections of hair that are all the same size, as long as it all gets curled! 6. After you've done the bottom half, unclip one side of the top and, again, work your way from back to front. Curl both sides. And there you have it! Nothing too complicated, right? If you're not familiar with a curling wand, it may take you a little while to get used to it, but I promise that after a few times you'll be a pro! 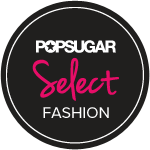 Oh, and because I'd love for you to be able to try the José Eber curling wand for yourself, they've generously offered Chain Strap Purse readers 15% off with the code PURSE15! It applies to any of their products including hair dryers, flat irons and curling wands so that you can make sure you pick something you love! Good luck with trying this out and feel free to let me know if you have any questions via the comments below, e-mail, Twitter, Facebook or Instagram! Gorgeous! I told Santa I wanted one for Xmas...let's hope he listened! Your hair looks gorgeous!!! 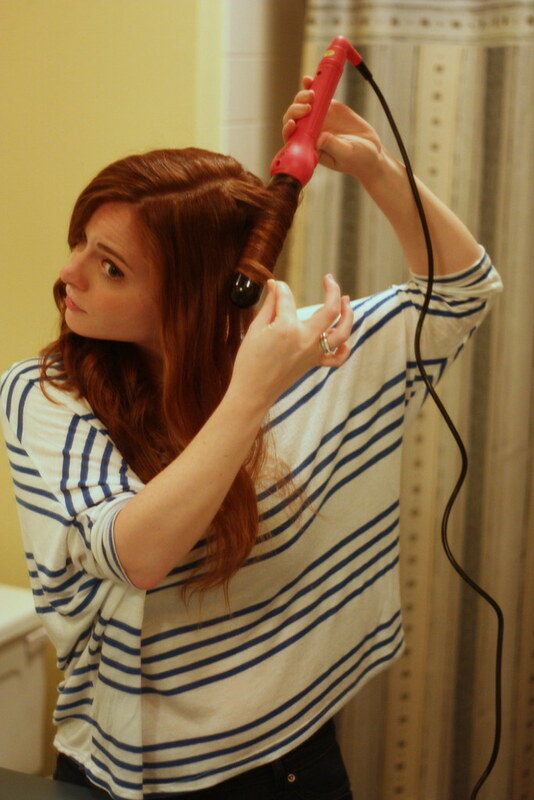 I have been dying to try that curling wand, I hear such great things about it! I have a Jose Eber curling wand and absolutely love it too! I need this in my life! 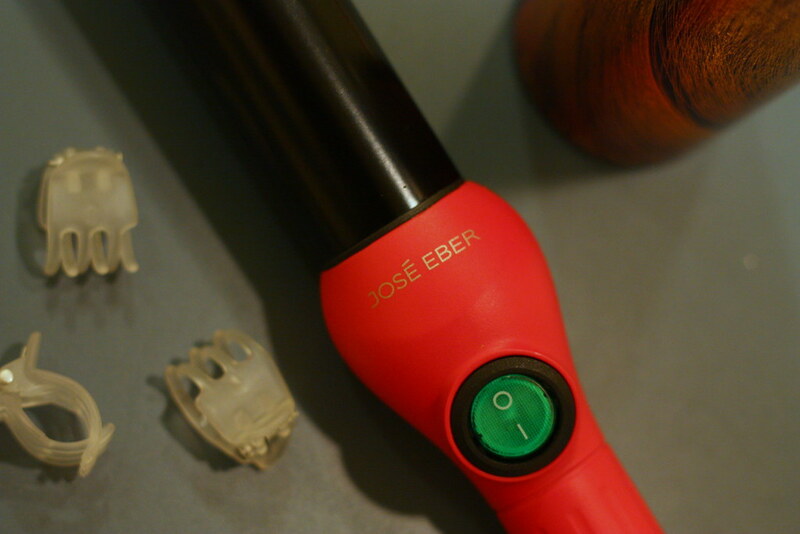 I keep seeing bloggers rave about the Jose Eber curling wand. 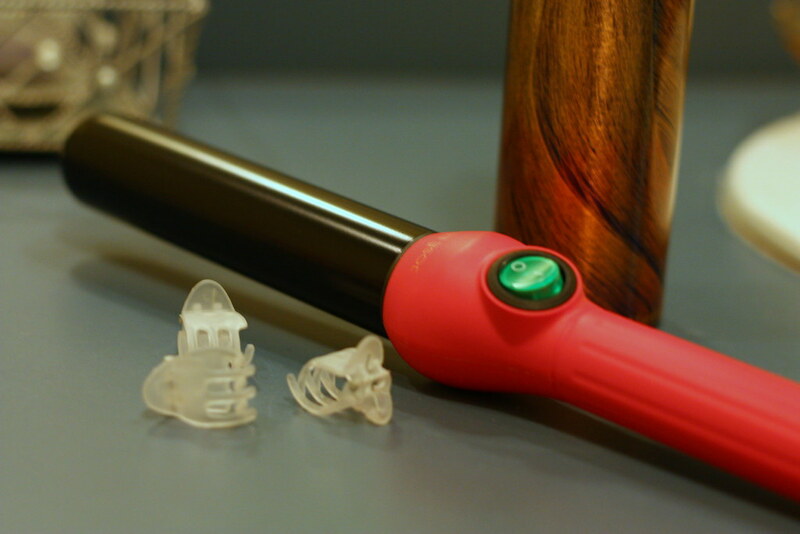 I use my regular old curling iron with the clip in the "open" position, but I like the idea of removing it all together! Until I can get my hands on the real thing, of course! 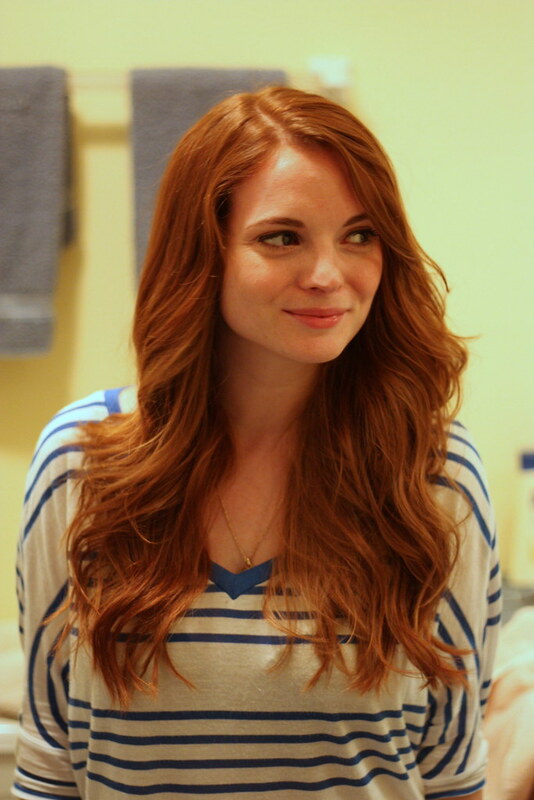 Love how your hair looks girl! I wish I could do this all the time - I have no patience!